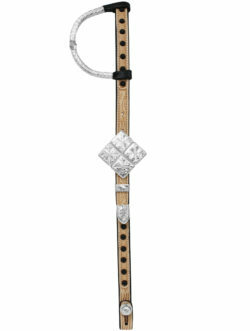 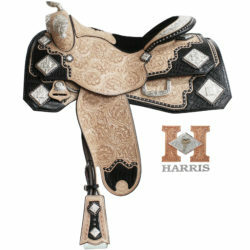 The natural stripes and contrasting black studs along the skirt of this saddle make it very unique from other designs. 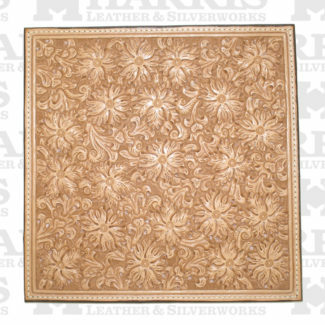 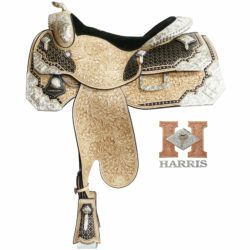 This saddle features oversize 45 degree cornerplates with a three-dimensional raised square pattern overlaid on top. 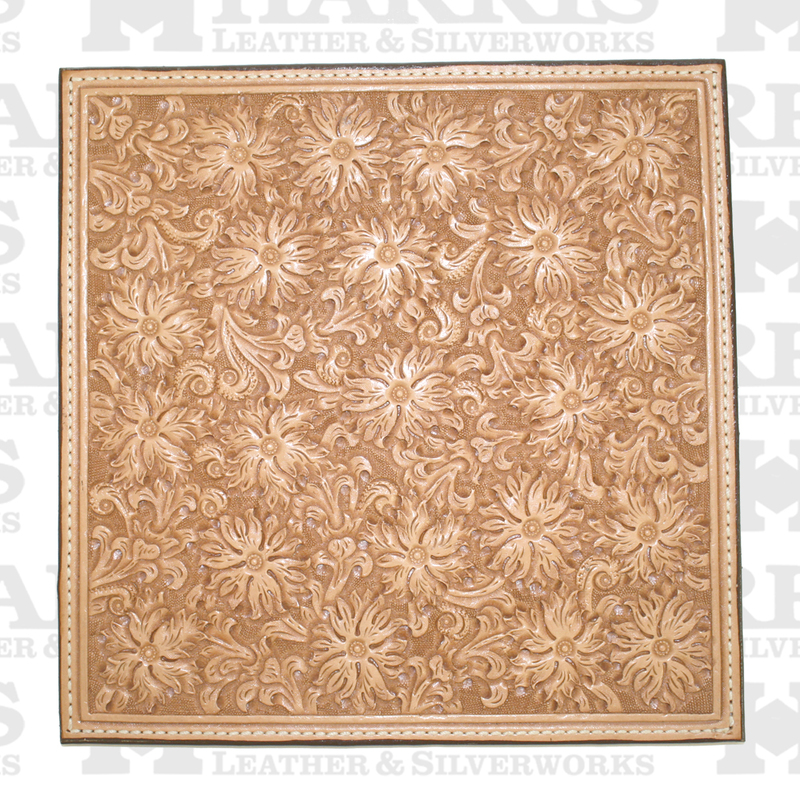 Each piece of sterling silver is hand-engraved to a brilliant shine. 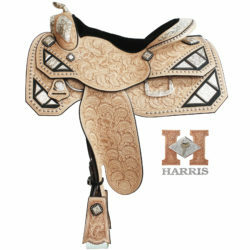 This saddle features our hybrid saddle seat. 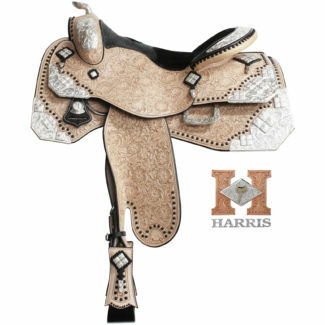 The hybrid seat allows the rider to have the look of a rich exotic seat while still maintaining the comfort and grip of a suede seat. 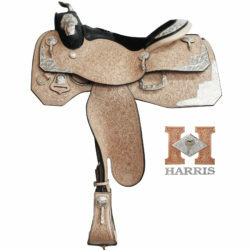 If you have questions regarding saddle 196, please contact (336)874-2100 or (336)874-2194.